New 2016 Upgrade for iPad App! 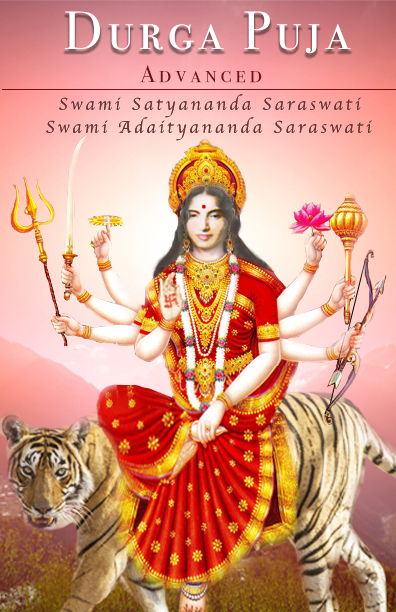 The Durga Puja Advanced App is an invaluable reference tool to learn the worship of Goddess Durga. The Advanced Puja is significantly more sophisticated than the original Durga Puja Beginner. Several viddhis from the Purohit Darpan were added as well as many stotrams, including the Durga Sahasranam. This treasure chest teaches an authentic process of worship from ancient India. It guides the spiritual seeker toward union with Durga, the Goddess who takes away confusion, replacing it with stillness and clarity. In this guided mediation you will learn how to worship the Goddess in four simple steps: invitation, invocation, offering and union. The Durga Puja Advanced App is recommended for all devotees of Durga, especially for those who wish to keep the Navaratri Vrats. The material is presented with original Sanskrit mantras (in big and clear font), a Romanized phonetic transliteration, and a complete English translation. Total pages 504.